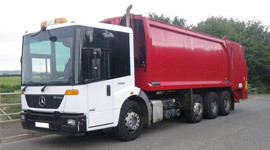 Two of our existing customers, Equinox Recycling and Spectrum Recycling have returned recently to purchase Quality Used Vehicles to cope with increasing customer demand. Andy Gibbons first came to us in 2012 when he needed a modified Rear End Loader to empty skips and lift 1100 litre bins. 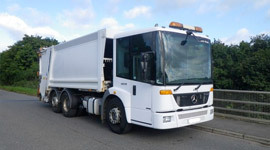 Spectrum Recycling (previously London Waste Solutions) has been operating in the capital for over 20 years and was set up by managing director Vince Whelan. Spectrum services some of London’s most cherished landmarks and prestigious buildings. A couple of years ago we sourced and modified a vehicle, a 2005 Daf LF55, to trial their new food collection service, sealing and water proofing the container to take food waste. 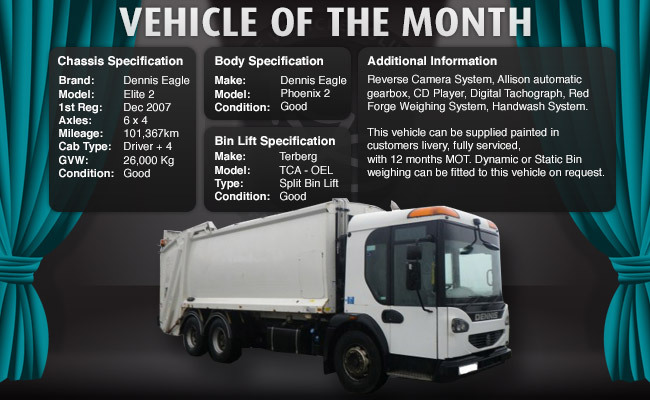 Spectrum has just purchased a fully serviced, MOT’d and painted 2008 Scania Terberg Toploader. Andrew Robinson, Fleet Manager at Ubico comments: “The quality and reliability of the first three vehicles we purchased combined with the high level of service we received from RVS made them the obvious choice when we needed to add another vehicle to our fleet. 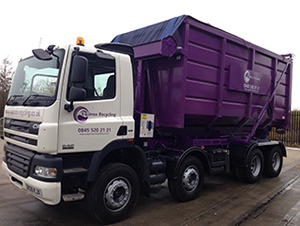 Refuse Vehicle Solutions (RVS) is the leading provider of high quality re-manufactured refuse vehicles to local authorities and the private sector. 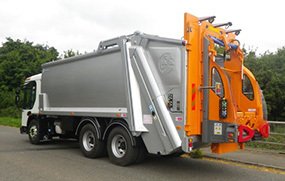 From full or partial body re-manufacturing to the provision of a complete vehicle, RVS can source any make or model of refuse vehicle. RVS stocks a comprehensive range of new and quality used spare parts, as well as vehicle safety equipment, lighting and on-board weighing systems.